If you missed my review of Tour de Ville’s incredible Sunday brunch, have a peek here. I wanted to share another of my Montreal restaurant favourites that I make a point of eating at on every single visit. Bières et Compagnie is a pub and restaurant that offers over 100 beers from all over the World. They specialize in pub fare , dishes cooked with beer, and my dish of choice…moules-frites. 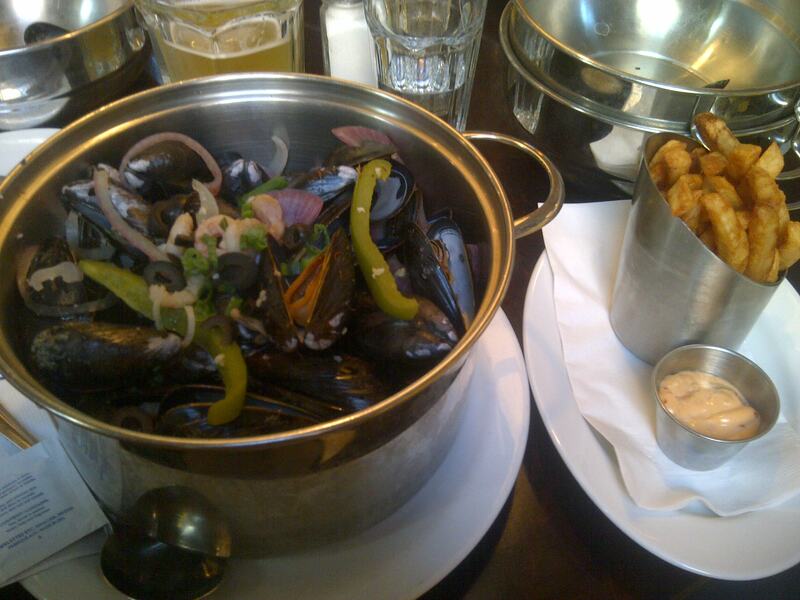 Moules-frites is a dish of mussels and french fries that originated in Belgium and is also very popular in France. 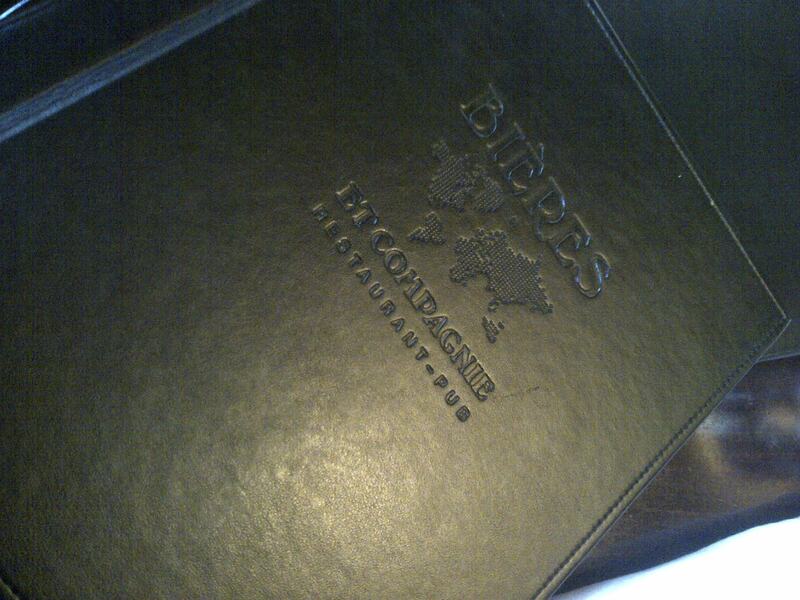 Bières et Compagnie features a menu of 31 different flavours of hot mussels to choose from. Also, Sunday through Wednesday the mussels are all-you-can-eat. If you are a seafood lover like me, this is a meal that can not be beat. 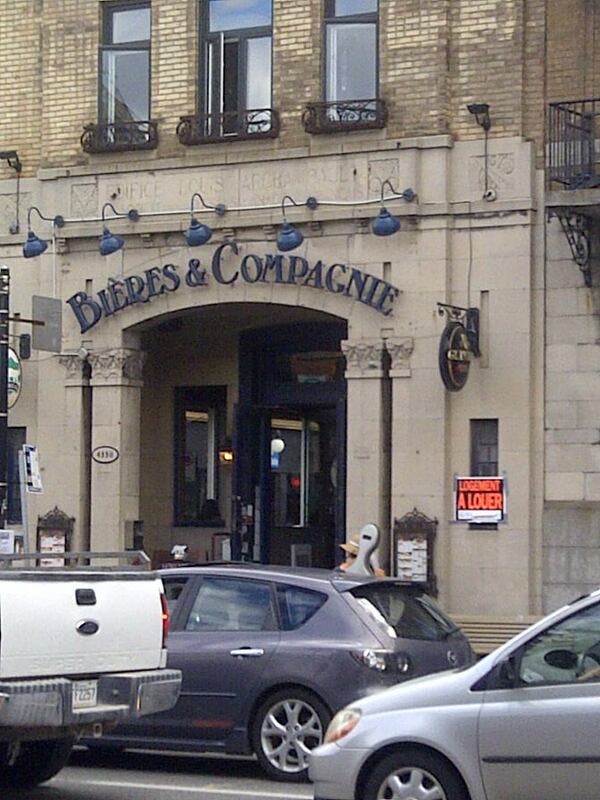 Bières et Compagnie has two locations in Quebec, but only one in Montreal . 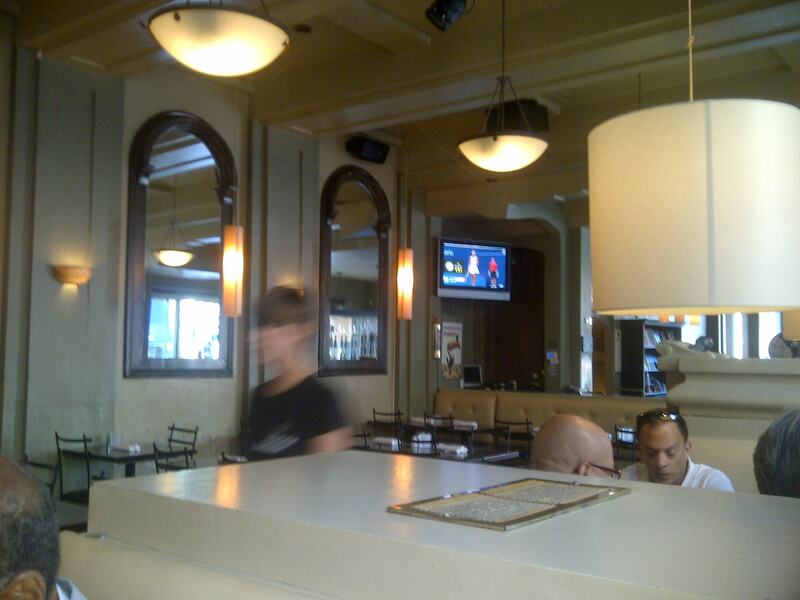 It is located centrally on rue St-Denis, in a trendy area with lots of great boutiques, cafes and restaurants. 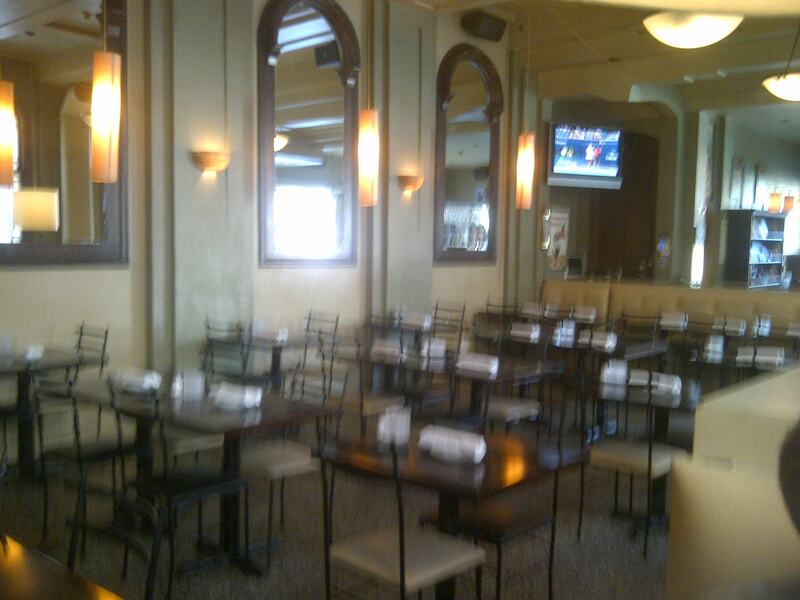 It looks like an upscale pub with bar, tables and a few oversized booths. It is dimly lit and cozy inside. Washrooms are located down a small set of stairs. The service at Bières et Compagnie was very good. A hostess greeted and sat us immediately upon entering, and our server was over quickly with water and bread. She was polite although not overly friendly. Drinks ( and mussels!) were always topped up promptly. Bières et Compagnie features two extensive menus, the first of which is just beer! 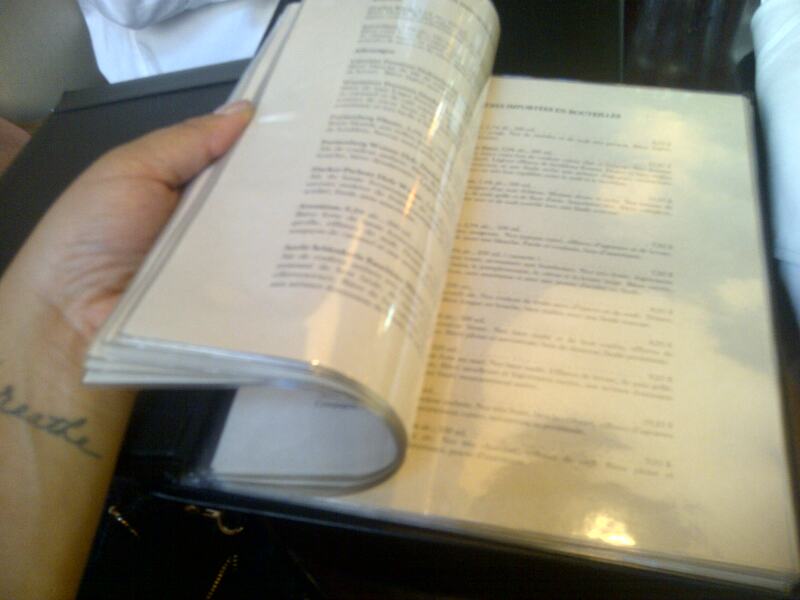 Check out the size of this beer menu, it’s like a novel. Decisions, decisions. Have you read my Beer for People Who Don’t Like Beer post? If you have, then you know that I like a really light, fruity, flavoured beer best. Some may call it girly beer, but it is what it is. 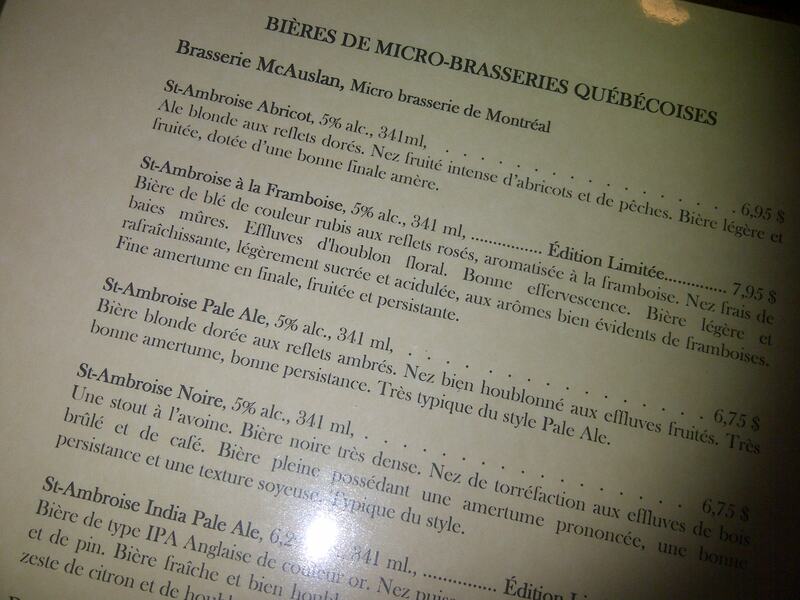 My favourites from past visits at Bières et Compagnie include Fruli strawberry beer and McAuslan apricot ale. 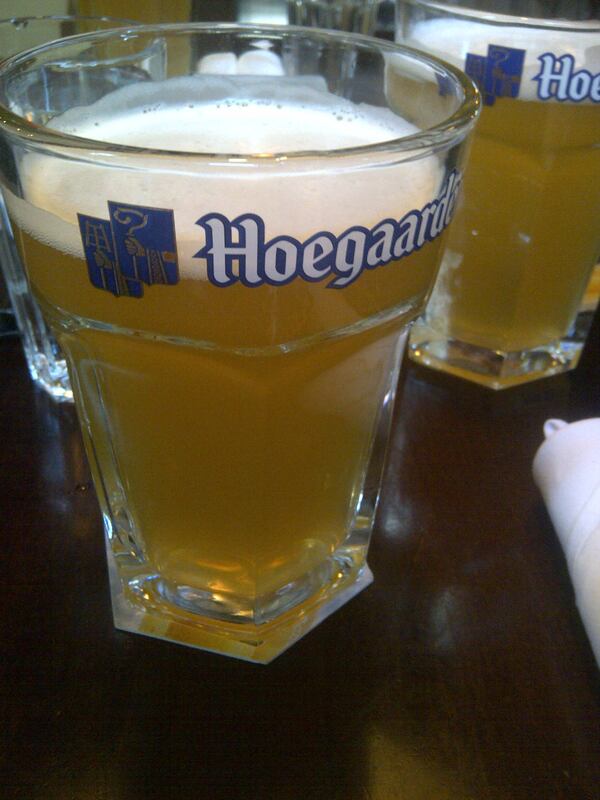 I guess I wasn’t in a fruit mood this particular visit though, because I chose a pint of Hoegaarden. Now, moving on to menu deux, the food menu. Bières et Compagnie has a number of interesting dishes on their menu including an ostrich burger, caribou chili and duck confit. 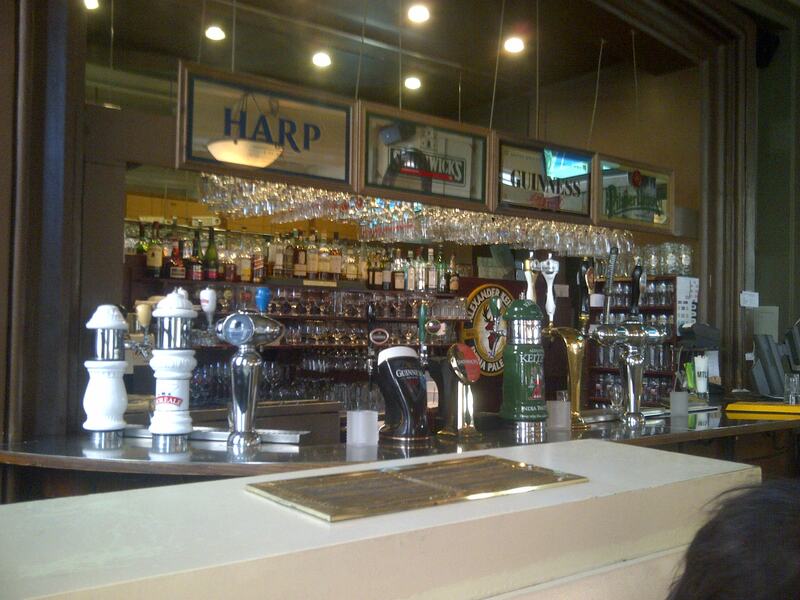 They also feature traditional pub fare like sausage dishes, steaks and traditional burgers. But, I have never had anything besides moules-frites. With the extensive list of delectable mussels, I can not even begin to turn my attention to anything else. Mussels that I have tried and would highly recommend are : Diabolo (wine, Napolitana sauce, chili, white cheddar, garlic, celery, onions, shallots),Moules Indonésienne (wine, coconut milk, basil, cayenne pepper, celery, onions, shallots) and Moules Marocaine (wine, tomatoes, curry, cumin, cayenne pepper, saffron, cinnamon, garlic, celery, onions, shallots). On this visit , I decided to try a new flavour, and I was not disappointed. My choice was Moules Méditerranéenne (wine, garlic, shallots, shrimps, green peppers, red onions, black olives, lemon, saffron, Tabasco). Absolutely delicious. But, I really don’t think one can make a bad choice here. They are all so yummy. Now, for the “frite” portion. There are decisions to be made here , too. Fries are served with a mayonnaise dipping sauce. This is common in Montreal and even though I am not a mayo girl, these homemade sauces are DELICIOUS. The choices at this restaurant are : spicy garlic, ale, sundried tomato, spinach pesto and dijionnaise. Try spicy garlic, you’ll thank me later. Mussels are fresh and perfectly cooked with a broth that is flavourful and tasty. Fries are crisp and not at all greasy. A match made in heaven. Mussels are individually priced depending on the kind you order, but they average about $18. This includes fries and if you are dining Sunday through Wednesday, free top ups of your mussels until you are stuffed! They also provide a bread basket featuring a delicious multigrain bun, perfect for sopping up delicious mussel broth. This is of course, a fantastic deal. A tip for all-you-can-eat mussel eaters: order different flavours than whomever you are dining with, that way you can swap next round! I continue to return to Bières et Compagnie because it never disappoints! If you like mussels, this should be a definite must-try on your list. I love it there and will continue to visit every time I am in Montreal! I hope you found my Montreal dining highlights informative and helpful. Or, at the very least …mouth-watering! Please let me know some of your fave Montreal restos in the comments. Who can be bothered with pesky things like utensils!? Hahaha! Thank goodness I was actually eating lunch while reading this post because otherwise I would have tried to eat the screen…and my lunch did not compare to the sumptuous descriptions of those mussels! This place sounds wonderful, and from the pics the atmosphere looks really charming and cozy. I love that there are so many varieties to choose from, including choices of mayo for dipping the frites. Thank you for a wonderful review and I will make this a must on my next visit to la belle ville!